The multigenerational workforce is better when age-diverse teams collaborate. Rather than joining the cliques of each generation, why not happily work together across the generations? There is an opportunity to integrate various skills and experiences necessary for innovation and growth. We are better together than we are apart. This past week I presented to a group of executives in transition on the topic of career agility. While presenting ideas on how to stay relevant in the workplace, I became keenly aware of the concerns of the mid-career “out of work” professional. They observed the rules of workplace interaction and career navigation have changed. The mandate for technical skills by all is rising faster than the ability to adapt. Additionally, a huge problem of the multigenerational workforce is segregation and communication. Just like shiny new technology companies are often started by younger people, younger managers in corporations know and trust their own cohort, give or take five years. Similar to the first-stage careerists, the second-half careerists are more comfortable with people who look like them. Give or take ten years, these preferred managers and colleagues understand the value of experience. Yet these attitudes reflect one of the biggest diversity and inclusion deficits involving older workers. This is fueled by misunderstandings and assumptions. Younger people are hard-wired with ideas, enthusiasm, and energy in the early stages of a career. No doubt there are genius minds entering the workplace every day, and they are starting with a blank canvas of possibilities. Older workers understand complex relationships within an industry. They have accumulated a vast array of experiences, can see industry patterns, and offer big-picture strategic thinking. Bottom line: the generations don’t know how to interact with each other because of trite assumptions made about the other. Assumptions like “millennials are entitled” or “boomers cannot learn” are a couple examples. While these assumptions are not true, the damage of the opinions can be felt throughout an organization. 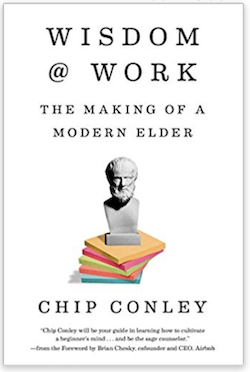 In his book, Wisdom @ Work: The Making of a Modern Elder, Chip Conley suggests a new world order in the workplace and invites people to work together, rather than apart, for better outcomes. Yes, we have always had multiple generations in the workplace, but there has never been a time where five generations are working at the same time. The average life span has increased. Longevity has many advantages, but there is a cost associated with it. And individuals are generally healthier than previous generations, working longer to adapt to this trend. Emotional intelligence (EQ) and Digital intelligence (DQ) are essential to further qrowth and diversity in the modern workplace. For example Millennials rank high in DQ as they have designed and adapted to technology applications and trends. Product innovation is dependent upon this type of capability. Conversely, many older workers score high in EQ. This translates to traits like thoughtful analysis, asking good questions, and specialized industry knowledge. They also have developed and nurtured a network of contacts giving them access to partners, investors, and customers. These different characteristics, when blended together implicitly or explicitly, form a type of trade agreement between individuals. Both parties gain by the exchange of knowledge. Solving workplace problems and delivering competitive products and solutions happen when the exchange is enhanced with the wisdom of industry experience and the latest ideas. While at Airbnb, Chip engaged with numerous employees in private informal conversations. According to Chip, bridge building among generations must be baked into the company’s values and culture for the wisdom to flow in two directions. This type of program, including reverse mentoring, requires an adoption of age diversity within the organization. The great thing about intergenerational exchanges is younger workers typically don’t feel threatened or competitive with older workers. Historically wisdom has flowed from old to young. Now it’s possible for it to move back uphill. Staying current with skills, while embracing new technology or changes in the work environment are examples of a beginner’s mindset. John Q. Smith, an older engineer who works at Airbnb reflects this mindset. He updates his coding skills every few years, and acts as an adviser to younger engineers. His strongest contribution, however is his willingness and interest in sharing his experience in effective team collaboration. Another example Chip mentioned is Peter Drucker, who wrote two thirds of his forty books after the age of 65. He approached every topic within his books with curiosity and enthusiasm. 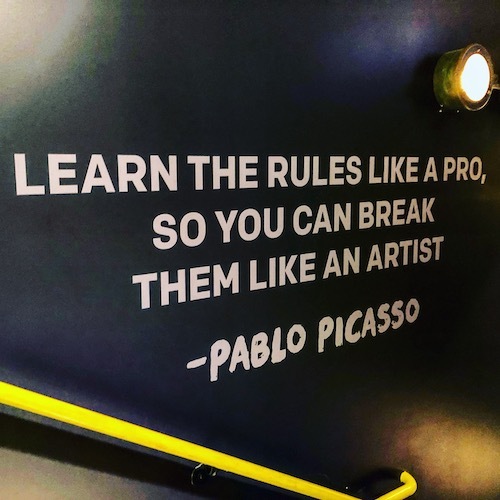 This mindset of expression and rule-breaking after mastery is a great model for innovation. People who have mastered a way of doing or thinking will surely benefit from experimentation and exploration that results in something new. In summary, the ROI (return on investment) from a multigenerational workforce that is in sync is greater than less diverse groups. Chip Conley cited a McKinsey study, showing that gender-diverse companies outperform the national averages by 15%. This study refers to diversity of age, diversity of background, and diversity of thought. To prove this out further, Chip offers a BMW factory age-specific study. The younger teams were faster but made more mistakes. The older teams were slower, but made mistakes less frequently. Age-diverse teams were found to be more productive. In other studies older employees knew how to frame out problems and to create an accountability structure for results. At the same time, the younger workers took more risks leading to more innovation. As the article started out, we are better together than apart. If you are interested in the future of work, career development, the workplace, personal branding, workforce trends/ideas, agility, or how to cultivate happy profitable employees, subscribe to Marti’s 52 Ideas. For more details on career agility, check it out here. You can also check out the best-selling book on Amazon, Activate Your Agile Career: How Responding to Change Will Inspire Your Life’s Work. Marti Konstant is a workplace futurist with an agile mindset. She is a career growth analyst, author, speaker, personal brand architect, and founder of the Agile Careerist Project™. What started out as a quest to fine-tune her evolving career sparked a research project, a book, and workshops, where future of work and career agility are central themes. Want to Cultivate Happy Profitable Employees? Join our community of vibrant professionals and clever optimizers who take charge and inspire relevant workplaces. Sign up now and receive a bonus: Marti’s Career Agility Guide.